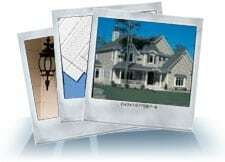 Royal Building Products in Randolph NJ - New Jersey Siding & Windows, Inc. The key to the Dura TechnologyTM Process is RoyalsideTM Compound, a proven blend of the world’s finest raw materials. This blend, together with our exclusive DURATMimpact modifiers and premium ingredients, forms the base for a tougher, longer lasting siding. UV tests ensure your siding provides outstanding resistance to fading and discoloring. This advanced color fade protection is achieved by combining our innovative RoyalsideTM Compound and Dura TechnologyTM Process. Royal tests its siding against brittleness at temperatures as low as 14°F (-10°C), ensuring your siding will maintain its superior durability, rigidity and structural integrity under severe weather conditions. Extensive impact tests are conducted at 73°F (23°C) and 32°F (0°C) to ensure your siding exceeds ASTM standards and can withstand the elements, including hail, under any condition. Haven® insulated siding combines the looks of real wood and the energy efficiency of industry-leading insulation technology.ergy efficiency of any home. Delivers exceptional long-term performance along with the timeless beauty of an attractive natural woodgrain finish. Portsmouth™ Shake & Shingles siding gives you beautiful form and function plus real color, texture and shape options. Features an exceptional color selection designed to give homeowners the freedom to create their ideal home exterior. Haven® insulated siding combines the looks of real wood and the energy efficiency of industry-leading insulation technology. Let’s call it very high tech. Our graphite-enhanced EPS insulation is made with Neopor® from BASF SE. Neopor helps absorb and reflect radiant heat, which makes Haven’s R-value (how well insulation keeps heat out of your home) up to 19% higher than traditional insulated siding. Our EPS insulation also reduces the flow of hot and cold air through wall cavities. Plus our “locked-tight” TXL™ Lamination distinguishes itself by how uniformly it holds siding and insulation together for a seamless, flat fit. Manufactured using our exclusive Dura Technology® process with Dura® Color Protection. Produced with Royal’s proprietary Royalside® compound. Will not dent, peel, rust, flake or corrode. Comes in four distinctive profiles and 16 contemporary shades. Portsmouth™ Shake & Shingles siding gives you beautiful form and function plus real color, texture and shape options—whether you choose Cedar, Cedar V-Pro™ Series, Hand-Split Shake, Perfection, Staggered Edge or Half Round styles. You’ll end up with siding that eliminates maintenance and stops traffic, and a home exterior with depth and emotion. That’s a compelling reason to really build bold. See below to explore our Shake & Shingles lineup. Royal Woodland 25 features an exceptional color selection designed to give homeowners the freedom to create their ideal home exterior. In addition to 8 of Royal’s most popular standard colors, Royal Woodland 25 is also available in 8 deep, rich, UV resistant colors from the ColorscapesTM collection. Whatever your color selection, from the darkest color to the lightest tone, Royal Woodland 25 keeps home’s looking like new. A statement backed with a powerful color retention warranty. All of Royal Woodland 25’s colors are lead free and made with safe, family friendly materials. At New Jersey Siding & Windows, Inc. we pride ourselves on offering quality products, including windows, doors, and siding at reasonable prices. One of our most popular products is Royal Celect Siding. Imagine a premium siding inspired by the gorgeous aesthetics of wood and possessing none of the wood’s maintenance demands. Celect Cellular Exteriors by Royal gives you an exterior with the look, touch, and timelessness of real wood without its inconveniences and expenses. Royal Select Siding’s interlocking joints keep moisture out and almost completely eliminate seams, which means it not only looks authentic, it will never warp, buckle or shift like wood. With Royal Celect Siding, you can forget about mold, fading, deterioration, and scrubbing. You can also forget about painting, repainting, caulking, re-caulking and delaminating which fiber cement is famous for. Celect is all about virtually great maintenance-free looks that never quit, year after year, decade after decade. Celect is warmer in the winter, cooler in the summer and greener all year long. In addition to being completely reusable and 100% recyclable, it provides an R-value that is twice the thermal value of any other comparable material in the market. Royal Building Products (Brochure, PDF) Click Here!